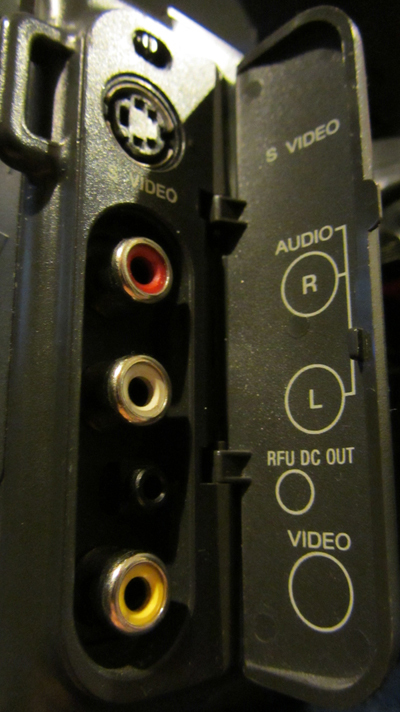 Back in the summer of 2012 when I decided to start filming a documentary on a local video store using obsolete video gear (aka dead tech), I realized the restrictions offered a whole array of stylistic choices which one might be able to emulate digitally, but can’t wholly capture in terms of the gear’s analogue purity. 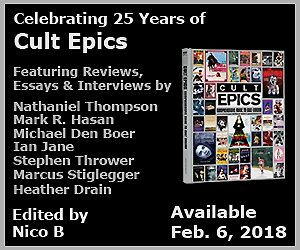 It’s kind of like LP versus CD, but like that ongoing rivalry of ‘which format is the best,’ the winner is determined on a case-by-case basis, weighing a whole series of factors. For example, you can have a badly mastered album which can’t be helped by being pressed on virgin vinyl, and a beautifully engineered album can sound awful when the CD’s been crafted from badly edited cues which themselves have been remixed with poor dynamics. Because portable digital recorders capable of capturing uncompressed video fall outside of my humble budgetary confines, the compromise for the doc (still tentatively titled BSV 1172) was to record all footage straight to DVD, and deal with it on the hard drive within Adobe Premiere. Basically, you make the choices you have to make, and hopefully they won’t be too restrictive in the long run. Back in 2005, Saul Rubinek directed a neat little drama, Cruel But Necessary, and opted to shoot on DV instead of HD due to the cost and perceived stylistic attributes of each medium. In an interview [M] with KQEK.com, the actor / director felt he may have limited the film’s acceptance among audiences and distributors. 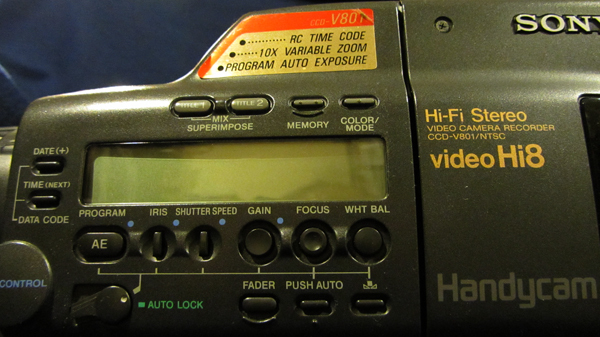 With the blending of various acquisition formats, or the occasional artistic decision to stick with lo-fi formats like VHS, at least within the creative community, there’s a sense that as long as the format supports the goal in the end, lo-fi (be it VHS, S-VHS, or arguably DV) shouldn’t really matter. That’s the thinking, but in reality, choosing lo-fi media will affect the film’s playback if its resolution is significantly less that the playback medium unless you can find some middle ground where it’ll still retain the aspects of standard definition [SD] but still look acceptable on a 1080p display without garish artifacts from re-rendering the footage to a resolution that’s unforgiving. There’s also the challenge of finding the right combination of stages when layering analogue and digital effects. 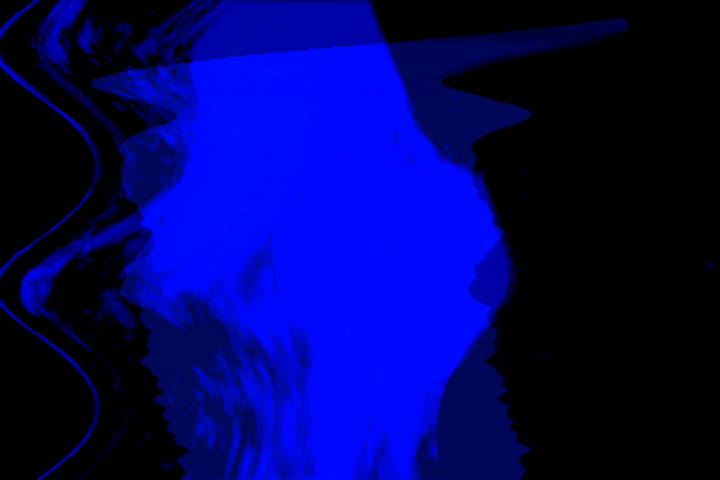 The aesthetics of BSV 1172 are partly experimental, so the goal is to find out which pleasing artifacts reside within the video signal that was recorded simultaneously on DVD and VHS, and what aspects can be brought out and treated in both worlds to achieve my weird arty-farty concepts. That’s where short tests come in, but they’re also a natural way to figure out exactly what happens when you thread various components together, with the end goal of finding that sweet-spot that yields an effect upon which you can build a sequence. 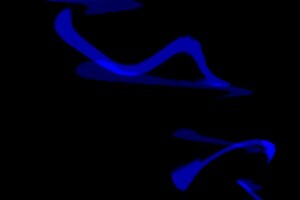 is titled Blue Plasma because what was crafted resemble gaseous clouds in Section A, and electrified video signals in Section B. The reason I made these tests was to check out various feedback configurations using analogue gear before it’s recorded directly to DVD, but part of the fun – besides screwing around with gear, tweaking knobs, patching cables, and handling equipment a quarter century old – is an awareness that what you might discover is unique, and it may be difficult to replicate the day after everything’s been turned off (hence a quiet urgency to record the moments you’re actually fiddling and, more importantly, write down a wiring and routing diagram!). Most of the time, there’s just a familiar kind of noise and feedback coming out from the mixer, but often one not only discovers something within a narrow bandwidth of signal activity (like a weird spectrum of wavy feedback that occurs nowhere else), but sometimes an odd quirk with the aforementioned dead tech.  I’ll actually post some of the unique flaws in specific cameras that yielded spastic behaviour, but for Feedback Test 001: Blue Plasma, let’s focus on how the goals changed as new information popped up. The original goal in Section A was to test looped feedback stemming from a vidicon tube camera (a 1982 JVC GX-77U) that was re-rerouted into a vintage mixer (the Panasonic WJ-MX12) just to see what would happen, and what it looked like. She needs a bit of a warm-up and is a bit glitchy, but this MX12 still works swell. By slowly dissolving between the original and rerouted signals, the feedback is slightly controlled, in the sense you can hold on a level of feedback and let it do its thing before the screen turns to a pastel mush. Bigger than a common toaster, and heavier. 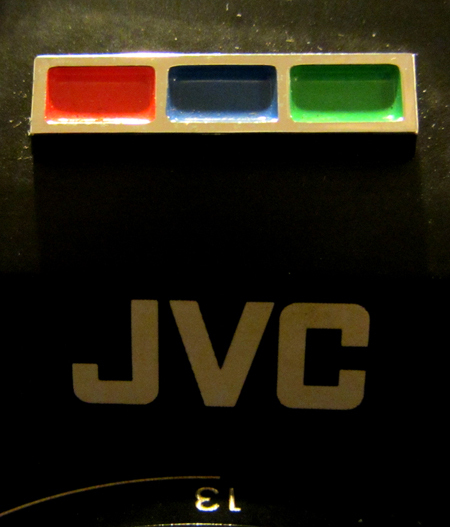 The new goal was to see how the moving clouds of multi-coloured ‘gases’ from the JVC could be altered digitally. Within Preimere, you can play with the colours, but you need to create a pre-existing saturation of colours as the images are recorded to DVD. The goal was again revised to see which components to use to create that intermediate colour boost, and that’s where I used a component made by a long-dead company called Showtime Video Ventures. 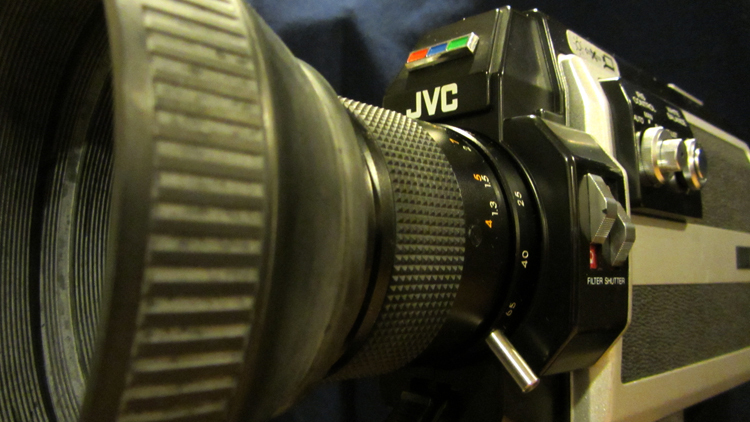 A device no one with a tube camera should be without. 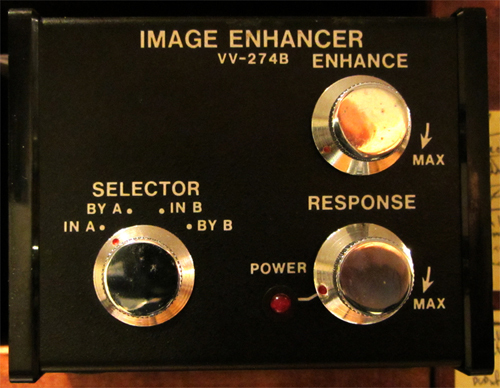 The Camera Color Processor [CCP] isn’t dissimilar to ones made by other manufacturers (Radio Shack, through its classic Archer brand, made its own tabletop variants). You can boost colour, adjust the phase to correct misaligned colours, increase or soften detail, and boost the brightness of the video signal – things also found in whole or in part in professional time base correctors [TBC] which allow you to maintain stable colour signals when editing or duplicating, and also fix problem video signals. The CCP isn’t a box that sits on a shelf or hangs in a rack, but a compact colour processor with all the main bells & whistles that fits between the camera and the VCR using standard 10-pin Sony connectors (remember: my preference is to use old two-parters, where the camera is tethered to a portable VCR) so you can fix the video before it’s recorded to tape. Looks like a Super 8 film camera, but NOT. That was the gear’s intended use, but I like to use the CCP to over-saturate colours in order to bring out certain noise and colours normally suppressed by a camera and VCR, since their internal settings are designed to provide normal-looking images. The CCP essentially boosted the tube camera’s colours so the feedback was more brilliant, if not richer. I could’ve used a TBC or one of those Archer boxes, but the CCP hits the signal as soon as it emerges from the camera, perhaps making it a little cleaner. So the end goal at this stage was to isolate a specific colour from the feedback cloud for use in a layered effect. The bonus during all of this noodling was discovering the mixer’s sweet spot to get those clouds, not to mention discovering how the images look when they’re saturated and warped, or more specifically, how does feedback look when it comes from a vidicon tube camera, or for that matter saticon / newvicon or trinicon tube cameras. 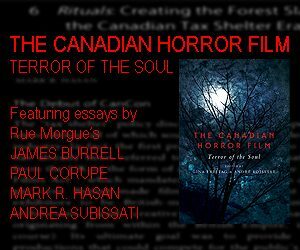 More than anything, I discovered noise comes in many flavours, and if you can find the ones that meet your personal aesthetic, note down how you found them, and where they lie so the whole crazy experiment can be repeated. Section B is a little different and requires a short preamble. Back in 2007 I moved from a house to a smaller place. While shooting the video component of a narrative short (currently in deep stasis), I noticed my Sony Hi8 camera was going bad – and fast. Original bill in 1991: $1800. As pretty as she looks, she’s permanently hobbled by eenie-weenie bad capacitors, and when you pop in a Hi8 cassette, instead of hearing the tape being wound into place, you get silence, and the pungent scent of rubber. 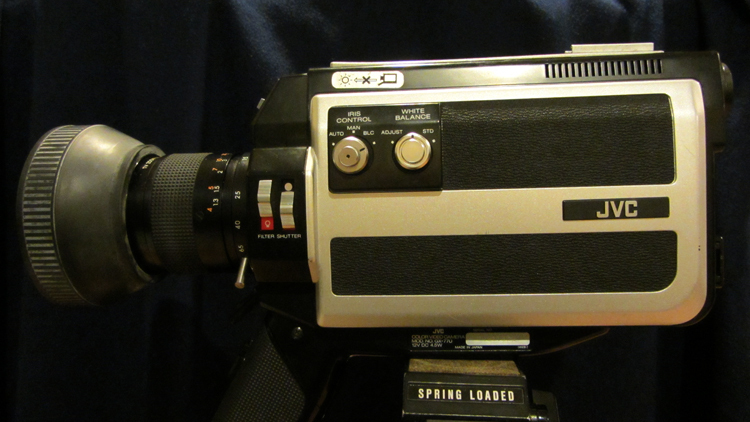 I’d bought a Sony V-801 in around 1991 to film dance and theatre performances at various fringe festivals – all which paid for the camera. 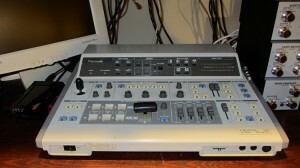 This is a rare Sony model that allows you to use auto, manual, or a mix of both features, and use the camera as a VCR. It was a great little camera (read the manual in PDF format from Sony’s website), but age apparently makes capacitors go bad. 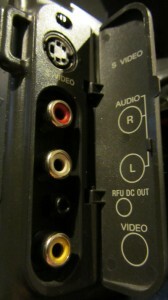 In 2012, the camera could neither engage a videotape, nor output a stable picture via its S-VHS jack; the component RCA was fine, but if you plugged the camera into any recorder’s S-jack, the image was a mess of lines and square dots and other nastiness which did look interesting, but made the camera a doorstop. 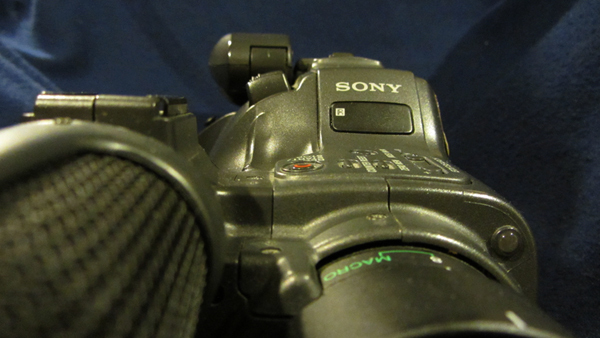 A repair technician advised against fixing the camera – I think he estimated a complete restoration would cost more that $500 – but in opening up the Sony, he must have loosened a few connections, or aggravated existing issues. Now, the S-output is a mess. There’s no other way to describe it. However, when the camera is pointed at a monitor and it records itself… and the image is sent from its S-output into the Panasonic mixer… and the Panasonic tries to stabilize the mess… and that result is sent into a Video Ventures Image Enhancer… and sent back into the mixer and overlaid over itself before its recorded to DVD… you get something interesting… which becomes more interesting when you punch out all colours, except for cobalt blue, in Premiere. Look! Something interesting: an electric wave cluster! More interesting! Electric wave bolts! 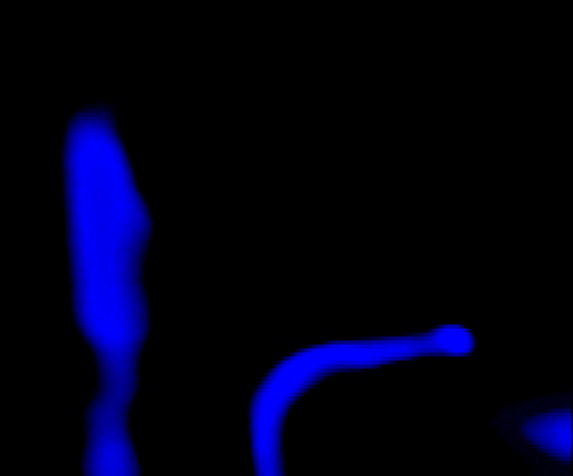 Both sections within Feedback Test 001: Blue Plasma are tests that not only illustrate what exist within imperfect video, but what happens when you isolate and exploit those parts that have an attractive aesthetic. These are, in essence, stepping stones in crafting the right blend of effects for BSV 1172, and for experimental short-shorts, aka spin-off exercises, where striking images and sound are organized into (ideally) an hypnotic hybrid. Since I’m incapable of making circuit-bending gizmos, I use vintage black boxes to make my own noise. On that note, I’ll shut up so you can watch the video, and I’ll have another set of tests up later next week, with more to follow as abstract ideas (ideally) coalesce into footage, and viable effects for the doc. 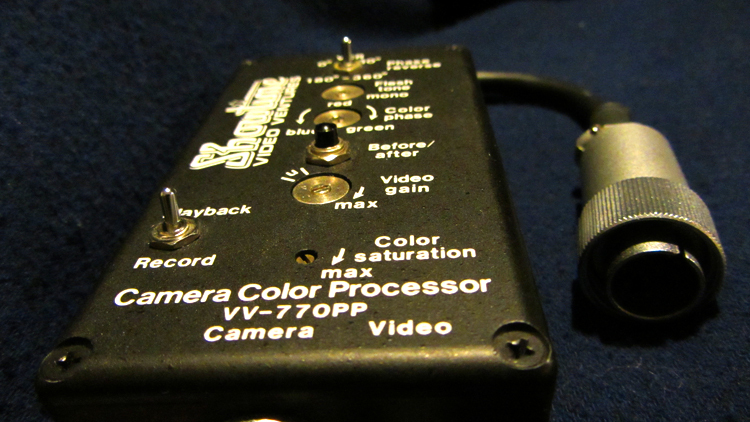 If time permits, I’ll also have videos demonstrating what some of these prosumer and consumer boxes from the 80s can do – especially the Video Ventures gear – because while they may vary in price from dirt cheap to are-you-out-of-your-mind, they still offer the experience of manually cranking knobs to find little sweet spots, which feels more satisfying that dragging percentage counts with a mouse to see what one of myriad options within Adobe might do.